The Coosa has been designed by professional kayak fisherman Drew Gregory, who worked with the Jackson Kayak architects to answer to the continually evolving needs of the kayak fisherman. Aside from excelling in lakes, ponds, inshore and most offshore settings, the Coosa is the first kayak to ever cater to the river angler… making it the first ever ALL water fishing craft! Quality rods built to your specifications. Each rod is built one at a time to fit the type of fishing that you do.Specializing in Bass fishing and Light Saltwater rods. Onyx products are comprised of a complete line of EVA, PVC, and Nylon rainwear, inflatable life jackets (PFDs), fishing and hunting life jackets, pet vests and cold water gloves, as well as paddling life vests. New to the Onyx lineup is hunting apparel and accessories (jackets, bibs, pants, boot insulators, gloves and beanies and featuring ArcticShield as well as base layers, gloves, beanies and balaclavas featuring X-System anti-odor technology. The Rod Glove will protect the investment that you have made in your fishing rods, making them last longer and keep them looking great!! All the material and the labor to assemble this fishing rod cover comes from right here in North America! Paddle or Fish? Paddle or Hunt? The PREDATOR Kayak and PIRANHA Fishing Hand Paddles allows you the opportunity to fish, photograph or hunt while moving your boat simultaneously! You DO NOT have to put your fishing rod or camera down and break out a seven foot paddle to move your boat a few yards to stalk your prey. Simply placing the PREDATOR or PIRANHA Hand Paddle between your legs, or within easy reach, provides immediate access to a simple propulsion mode. places you back on target. Fishing and stalking has never been so easy for the paddle sports fishermen!! Get Five is a soft plastic lure company located in Austin, Texas. our mission is to produce soft plastic lures that incorporate cutting edge design, premium components,and awesome colors. Whatever you call it... ice box, ice cooler, marine cooler, boat cooler, marine ice chest, igloo, esky, beer cooler, or chilly bin, YETI Coolers specializes in manufacturing the best ice chests available. Whether you are hunting, fishing, camping, boating, tailgating, rafting, or having a barbeque, we have a large cooler range of heavy duty, well insulated, rugged coolers for your outdoor ice retention needs. Bending the limits of rod technology. Custom made jigs for bass fishing. Will create any hook size, weight, and color combo to fit your bass fishing style. Everyone knows how difficult and time consuming it is to attach a line to an open eye and even more difficult to a spade-end hook. 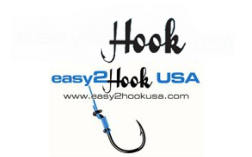 But not anymore we made it easy with the Easy2HookUSAs, non-threading loop tie line of fishing hooks. The ultimate fishing hook you can attach to a line in five seconds. 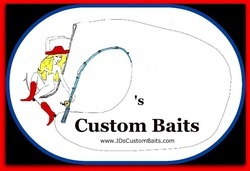 Makers of hand poured custom soft plastics in Florida for both fresh and saltwater. Offering the Prime Time Minnow, The Beast, The Frog, The E.T., The MW Mini, and the MW. Finzomine Extreme Sportfishing Attire is a new, fashionable, high-quality, functional line of affordable clothing designed for the angler pro and enthusiast's fishing lifestyle! Finzomine clothing is designed to keep you looking good on and off the water, while providing comfort and protection from the elements of fishing and life. Thw first Ergonomic Kayak paddle designed to make paddling easier. Why Dig when you can Glide. 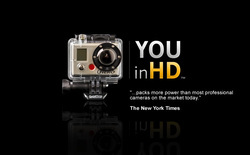 One of Kayak Angler Magazines best new products of 2010.